Last weekend Ted, his brother Kolten, Jerry, and myself had some fun tearing around a secret spot that we call “The Pit”. The Pit is actually within the Greater Toronto Area, but luckily has somehow been forgotten by developpers. There are probably about 10 acres of fun that include creeks, hills, mud-holes, and boulders. 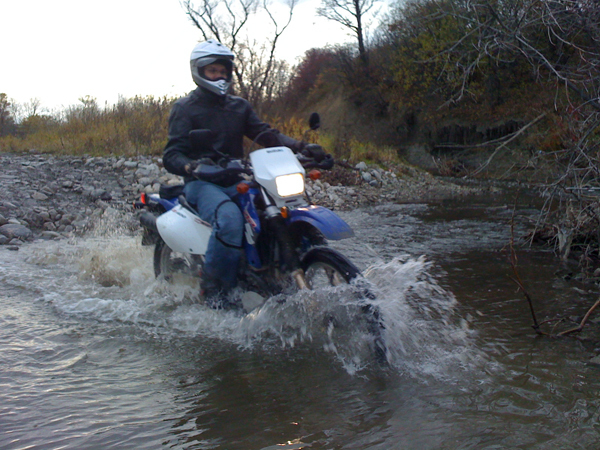 Jerry had the pleasure of breaking in his new 2008 Susuzki DRZ400S. Literally. 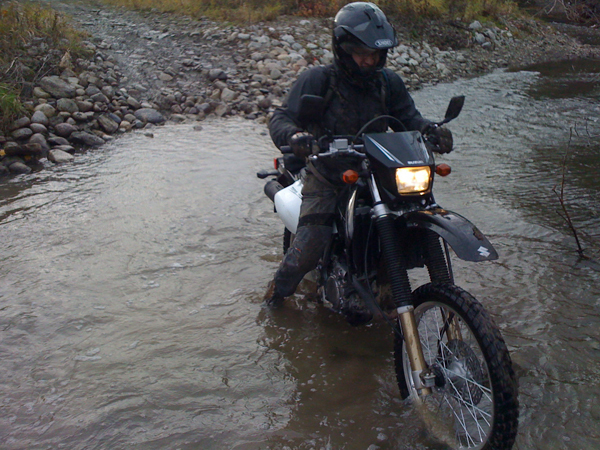 He dropped it amongst the boulders in the middle of a creek and bent his brake lever. There is also enough challenging terrain to break mirrors, as Kolten discovered while riding Ted’s bike. 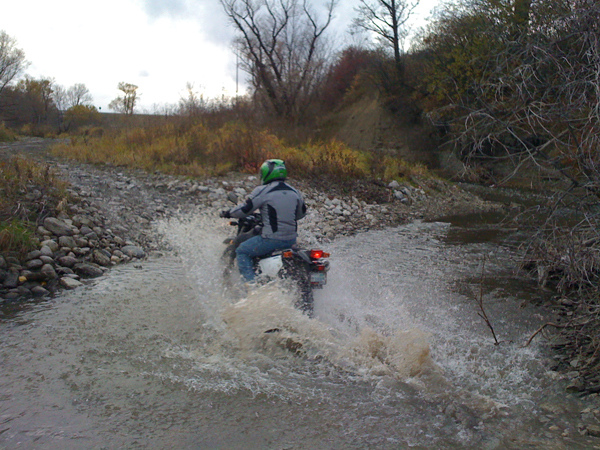 As fun as it was, it could well have been the last blast of fun before winter ends the riding season. It may not be the wilds of Africa, but it was nonetheless almost too much fun because it was enough to give us all a taste of adventure again and now we’ll probably spend too much time this winter wishing we were riding. The curse of motorbiking. Jerry picked up a 2008 Suzuki DRZ400S (pictured above) last weekend. He broke it in by dumping it in a creek. (Not the creek pictured above but rather a deeper more rocky creek. Really.) The bike took it well, except for a bent brake lever.